Over the last couple of days the Georgia Poison Center (GPC) and other agencies have received multiple reports of overdoses from Central and South Georgia. Patients are being found unconscious or unresponsive with difficulty breathing or no breathing at all. The leading cause of injury deaths in the Unites States is drug overdoses. Heroin, morphine and prescription drug abuse has become a serious public health issue and people are not aware of how big this issue really is. It’s suspected that patients are obtaining counterfeit pills believing it to be Percocet (an opioid pain medication). Aggressive life support measures are being employed to counteract the effects to manage these cases. Further testing is being done to identify the ingredients in these pills.  The Georgia Poison Center is currently working closely with the Department of Public Health (DPH), the Georgia Bureau of Investigation (GBI), the Georgia Drugs and Narcotics Agency and other state and federal partners in the investigation involving these overdoses. The “Prescription Drug Abuse: Preventing Prescription Drug Overdoses” webinar was created utilizing a collaborative effort between Dr. Pat O’Neal, MD, Director of Health Protection with the Georgia Department of Public Health, Gregg Raduka, Ph.D. LPC, ICPS, Director of Prevention/Intervention with The Council on Alcohol and Drugs and John Bringuel, MA, ICPS, Statewide Project Director of the Georgia Prescription Drug Abuse Prevention Initiative via The Council on Alcohol and Drugs. Tech Times – Drug Overdose Crisis in Georgia: What are these Deadly Yellow Pills? 13WMAZ – Verify: Can you buy Narcan over the counter? EMS1 – Street drug blamed for deaths, overdoses in Ga.